Favorite Things of 2007 is happening again where a number of us fashion and beauty bloggers give you our top picks for beauty products of the year. Thanks to Annie at Blogdorf Goodman for organizing this again this year! I can't find anywhere to buy it online in the U.S. except this link above to Sephora in France. It's in limited edition for the season, so head on out to the Dior counter at any department store and see if they have it in stock. Bloomingdales was sold out so I ran to Nordstroms and got the last one. It's a great neutral warm bronze color that's got lots of sparkle and shine for daily wear. 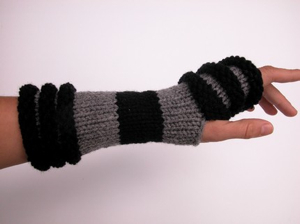 Perfect for winter shine on your fingertips. I need to find a way to get another bottle and stash it for the rest of the year. I have combination skin and this one treats those pesky t-zone oily areas without drying out the rest of my skin. You can also massage this into your face and leave it on for 5 minutes as a quick mask. It really leaves your skin soft and smooth. 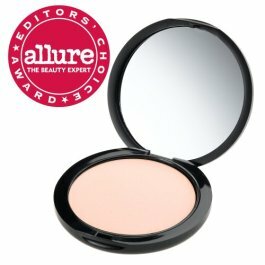 This is the perfect smooth concealer that can cover those nasty blemishes in a snap without getting cakey or feel heavy. Get the concealer brush for optimum application. 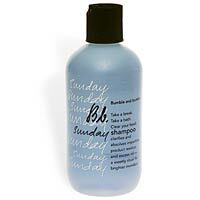 My hairdresser recommended me to use this every Sunday, and use my regular shampoo during the week. It really does clear out all the buildup in your hair and keeps it healthy and shiny. Fashion Indie's Daniel Saynt picks The Ten Best Emerging Fashion Designers of 2007. Bag Snob counts down the biggest trends in bags for 2007. Bags, Bobs & Blogs: the Top 10 Fashion Moments of 2007 - Fashiontribes. With an eye on women of color, 55 Secret Street gives you the Top 10 Beauty Secrets of 2007. Stiletto Jungle dishes the Top 10 Sites for Designer Bargain Shopping. KRiSTOPHER celebrates now, not the New Year, with an obi clutch. 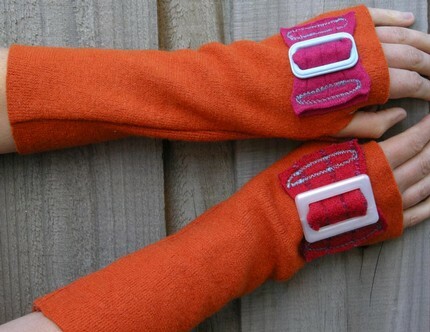 My Fashion Life runs down the Top 10 Fashion Trends of 2007. 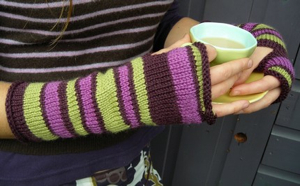 The pessimist at Papierblog looks at the ten most disappointing moments in fashion for 2007. Last year is so passé! Here are Second City Style's 10 Fashion Predictions for 2008! Stylehive brings you the top ten untraditional places to jet to for New Year's Eve! Do you agree with eBeautyDaily's top ten beauty items she can't live without? Yes, you know how much I love my technology, but it's been even more exciting lately with all the outpouring of love fashion tech love this year. Seems like these days, you can't miss the latest hot cellphone or gadgets sprawled all over on such fashionable shows as The Hills and Gossip Girl. 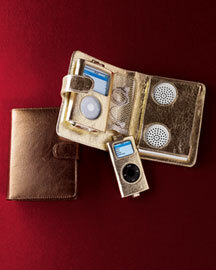 So without further ado, here are my picks for the most fashionable technology for 2007. You'd would have had to live under a rock if you didn't hear about the launch of the iPhone. I probably talked about it so much here on Coquette here, here, and here. Move over pink RAZR and Sidekick. 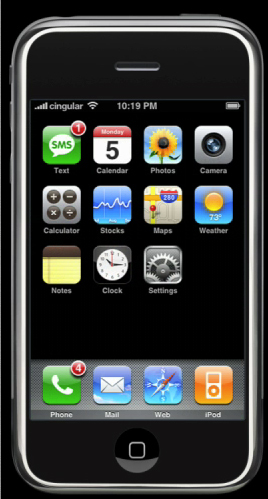 This was the sleek phone to get in 2007. 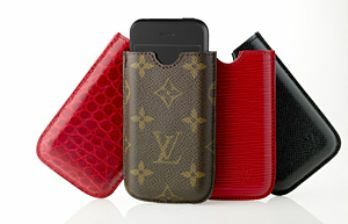 To jump on the iPhone bandwagon, luxe fashion house Louis Vuitton announced exclusive iPhone leather cases. Check your nearest LV store to see if they are available near you. Facebook opened up to the general public this year and everyone I knew joined (except me). I know, I know -- I'll join soon. 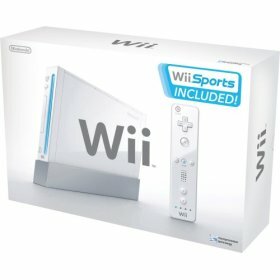 This gaming device is still in demand and hard to get a year later. I stil want one! 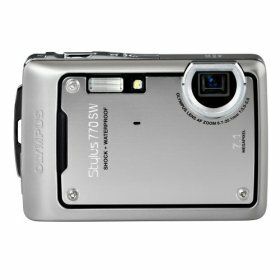 A compact digital camera with punch, this small digital camera packs a punch with 7.1 megapixels, 3x optical zoom, and can withstand a 5 foot drop with his shockproof body. 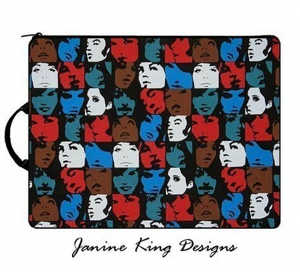 I love these laptop sleeves, especially the fresh prints like this one in The In Crowd ($39). I love handmade and these leather iPod cozies by thecraftydevil's shop on Etsy has some great leather video iPod cozies that are screenprinted. 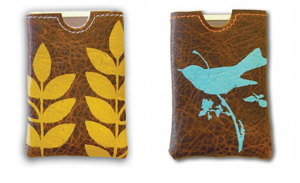 Or choose from over 700 other handmade iPod cozies on Etsy. I love these little emoticon charms that attach to your headphones and show people how you really feel. How adorable is this Trina Turk Capelet? First seen on Blair on Gossip Girl but I also love this more romantic feel of this outfit on the model above -- she looks just like Keira Knightly in one of those British period movies. Guess what? It's on sale now for just $178 (regular $356). Actually, there's a pretty great sale going on at Trina Turk now! I'm actually now addicted to topgossipgirl's photos on Flickr too. Joyeux Noël mes amies! 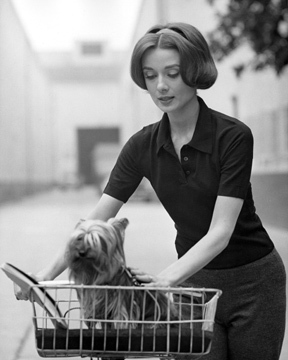 I'll be hanging out today with Gilles and my puppy Lulu -- eating and relaxing. Wishing you dear friends a great holiday too. Thanks for always stopping by and reading Coquette! I don't wear much makeup on a daily basis but now that the weather's gone cold, I realized I look totally pale and blaahhh without a burst of color on my cheeks. 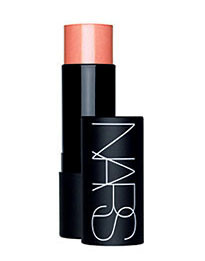 I am absolutely in love with NARS The Multiple ($36.50). 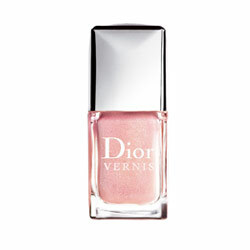 The new color Orgasam is perfect because it's flattering for any skin tone in a peachy pink that's got a light shimmer. If you can believe it, this wonderstick highlights and just warms up your face. Plus it feels so light going on. I use it on my cheeks, dab a bit on my eyelids, and brush it over my lips for a beautiful glimmer. The best little gift to treat yourself! FabSugar's radar has Rogan Gregory for Target. Stylehive StyleSlides: Chic Clutches Help Ring In the New Year. Second City Style's tips to packing with glam for the frequent flyer. Bag Bliss gives you a sneak peek at the Louis Vuitton & Richard Prince ‘Big City After Dark’ Handbag collection. KRiSTOPHER gets you 10% off Shop Jake.com. Daniel Saynt questions Time Magazine's 10 Must Have Fashion Items of 2007, then suggests his own. As 2007 nearly comes to an end, My Fashion Life compiles their 10 definitive moments in fashion! Celebrity Styleaholic Najwa Moses takes you on a funky hairdo photo journey! Stiletto Jungle reviews the best new hair dryer for DIY blow-outs. Natural and gorgeous with Sue Devitt!- Beauty Snob. Only 4 days left for x-mas shopping! Check out WELOVEBEAUTY.com to see Celebrity Stylemaker Robin Coe Hutshings Holiday Gift Guide! I am a big lover of prints and the big bold ones by Karta look so stylish. The graphic look of the Circle Cut Mini Dress (left, $216 at Shopbop) and the blocky print 3/4 Sleeve Shift Dress (right, $306 at Shopbop) are two of my favorites from Karta. The second dress reminds me of an animation with it's layered red over the various shaped lines and blocks of black. 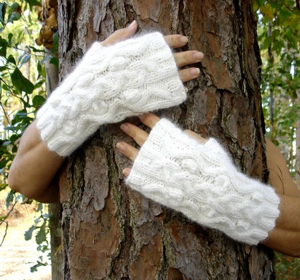 I'm getting obsessed with fingerless gloves these days and there are plenty to choose from if you search for fingerless gloves on Etsy. 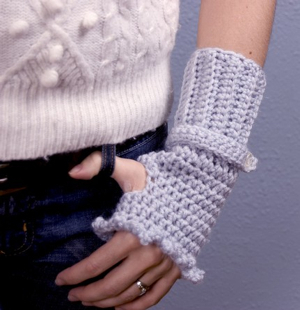 I love the idea of arm warmers too like this Tubeway Armies Arm Warmers ($25 by gayeabandon). The large colorful buckle and orange wamers are a nice splash of color in the sea of grey and black coats. If you want to make one, there are quite a few on the CRAFT blog that I've posted about and you can find a couple here and here. 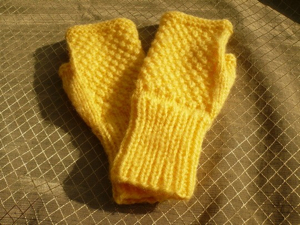 These Princess Mitts above are the ones that I've been dying to make since I haven't knit cables before. Gilt Groupe - Coquette Readers Register Today! Gilt Groupe is an exclusive site so thankfully, they are allowing the first 100 Coquette readers to register! It's all free and there's definitely no gimmicks. Just pure fashion ladies! Hurry up and sign up today! Today's sale is AKA New York and the next upcoming sales are Hollywould on Jan 8 and Earnest Sewn on Jan 9.